Discover how to be the #1 influencer in your industry, get bigger media visibility, and gain more credibility. 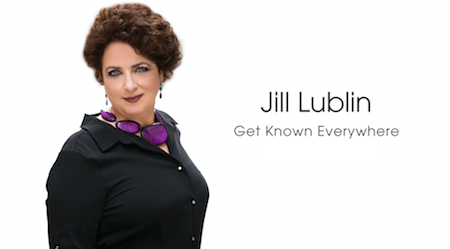 Based on her international bestseller, "Guerilla Publicity," Jill Lublin shares simple strategies to help you understand what the media is looking for, so you and your brand can stand out, get noticed, and go from unknown to newsworthy. Coming to this presentation will give you a better understanding of why we do "publicity" to build credibility and visibility. 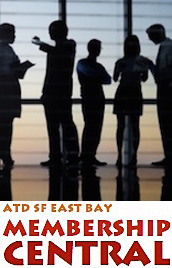 You'll gain cost-effective, instantly actionable techniques, and doable tactics to get noticed in the marketplace. Publicity has proven itself the most cost-effective, lucrative and powerful tool for client attraction and retention. Being featured in the media creates a spike in your credibility, and drives profits to your business and prospects to your door. That kind of exposure can take your business to the next level seemingly overnight! Instant, actionable techniques that will boost your visibility. How to drive prospects to your door and profits to your pockets! Short-term, doable tactics that produce results. 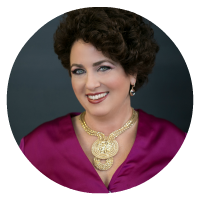 Publicity strategist, consultant and 4-time bestselling author of four books, Jill Lublin, wows audiences worldwide with her entertaining and interactive style. She trains and consults with executives, sales teams, and marketing departments in Fortune 500 companies, as well as in small-to-medium-sized businesses. Her innovative influence marketing and publicity techniques increase bottom-line results. Note: The Building says CHASE on the Dublin Blvd. side and Chabot-Las Positas Community College District on the back side (facing BART and where you park). We meet in room 270. Take the elevator and follow the signs.